Soon a whole range of symptoms may appear: redness swelling, tearing, hallucinations, loss of vision, nausea, vomiting, and irritability. Then the pain hits! 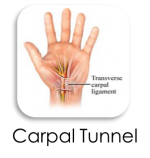 It can range from minor discomfort to immobilizing agony and last from minutes to days. This is the classic migraine that millions of people, including children, live with. Typically migraines are treated with painkillers, but this does not get to the root of the problem. It only addresses the symptoms. The side effects of these painkillers can often be deleterious and, if they are used on a regular basis, they may even cause “rebound headaches”. For over a century, chiropractic’s natural, drug-free approach to health has been a blessing to migraine sufferers. Chiropractors are the only healthcare professionals trained to analyze and correct the Vertebral Subluxation Complex, a condition that affects your spine, nerves, joints, discs and other structures. This common, often painless condition can cause malfunction of the nervous system and set the stage for disease. The cause of migraines has been a mystery, but new research reveals sufferers have abnormal nerve firings in the brain and spinal cord. This may be why chiropractic’s traditional approach helps so many migraine sufferers and agrees with prior findings that headaches can be caused by problems in the spine, specifically the neck. 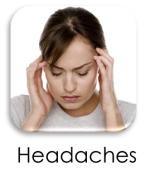 One of the possible causes of migraines is an imbalance in blood vessel constriction and dilation in the head. Nerves in the neck control structures in the head, including the blood vessels. Subluxations can therefore cause malfunction of these nerves and affect blood supply to the head. In our office we take a multifaceted approach to helping our patients who suffer from migraines. Often there are several components to the underlying cause of the problem. We not only test for but also remove these subluxations which are causing malfunction of the nervous system, but also locate and correct disregulation in the brain.